Whether you are launching a new online business or want to create a new website from scratch for an existing business, it is important to develop your site with SEO in mind. 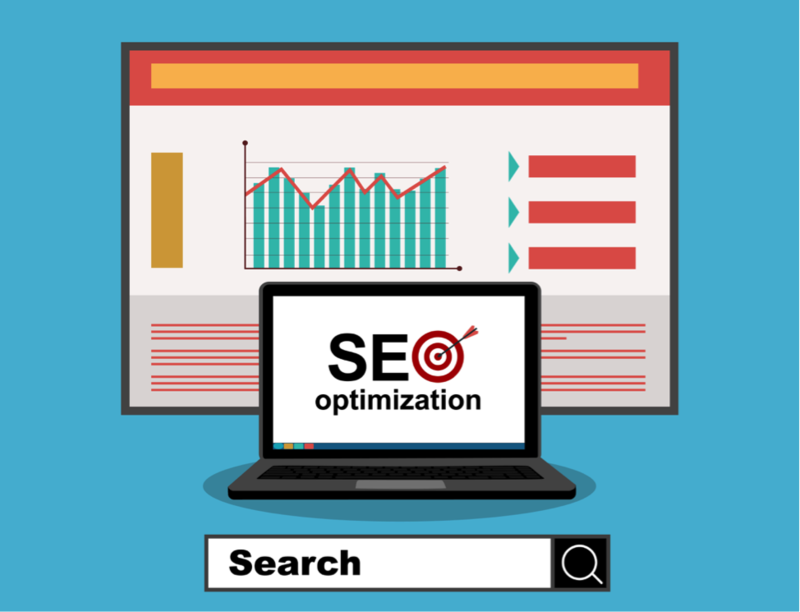 Optimizing an existing website to boost your ranking in the search engines might require you to make some major changes to your site. You can save a lot of time and resources by creating a new website with SEO in mind. What Are the Benefits of Building a Website With SEO In Mind? Developing a website that is optimized means your pages will be indexed in search results right away. It will easier to get your content to rank higher in search results, and you won’t have to put any time and efforts into optimizing your website in the future. Optimizing a site that wasn’t designed with SEO in mind means you might have to change the entire structure of your site, modify the design and potentially deliver a bad experience for visitors while you work on your site. You might also end up with broken links if you need to change your URLs. Creating a site with SEO in mind means your content will be easier to index. You will be able to create back-links with URLs that are already optimized and won’t have to modify any of your content if you write everything with your main keywords in mind. It will be easier to achieve higher rankings in search engines, and you won’t have to make any fundamental changes to your website when search engines roll out new SEO algorithms. You will be able to add more content to your site and to update it to keep providing your audience with quality content and will already have a framework you can use to develop optimized content. Creating a website with SEO in mind is the best way to use your resources and will help you get quick results. You might have to make some minor changes to your website when search engines implement new SEO algorithms, but you won’t have to worry about using a significant amount of resources to optimize your website in the future. If you are creating a website for a local business, developing your site with SEO in mind also means that your business will rank higher on Google Maps, Apple Maps, and similar search engines. This will result in more people visit your store, and you won’t have to make any major changes to your site to remain competitive in the future. How Can You Create a Website With SEO In Mind? – Stick to one topic per page. This will make bringing targeted traffic to each page easier, and search engines will be able to determine what which page easily is about. In the future, you will be able to cover new topics by adding more pages quickly. – Break down your content with title tags. You can use H1, H2, H3 and even H4 headers to organize your content into smaller sections. This will make your content easier to skim through, and your headers will tell search engines which topics you are covering. – Create a simple navigational structure. Designing a website from scratch is an opportunity to rethink your structure completely. You should have some main pages included in your menu and include links to parent pages to explore subtopics. Your site should be easy to navigate for visitors and easy to index for search engines. – Include keywords in your URLs. This is a good way to tell search engines what your pages are about and seeing URLs with keywords will probably help generate traffic since visitors will get a good idea of what they will find after clicking on your links. Create a system to name your URLs and stick to it. – Focus on creating a functional site. SEO is an important aspect of developing a quality website, but you shouldn’t neglect the experience you offer to your visitors. Your goal should be to create a site where visitors can easily find the information they wanted. Developing a website with SEO in mind will help you save time and resources in the future. It will be easier to increase your rankings in search engines, and you will be able to add optimized content to your website quickly.